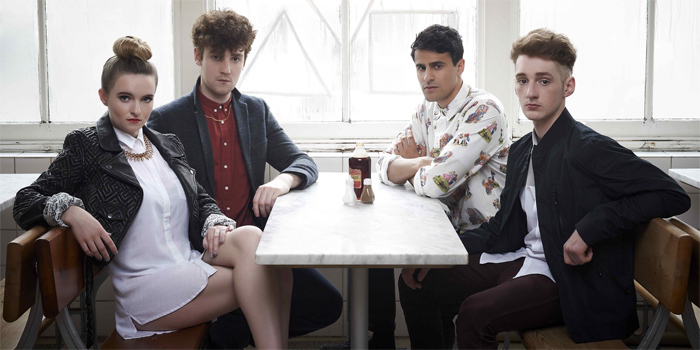 Clean Bandit return to Nottingham on Sunday 20th October 2013. You are here: Home > Listings > Archive: 2013 > Clean Bandit live in Nottingham. Supported by: Clean Bandit & more TBC. Clean Bandit work as a collective with an instrumental core of string quartet, keys, electro-acoustic drums and various vocalists. In shows, they play every single note live, which for songs with synths as rich as "Mozart's House" and "UK Shanty", is a spectacle in itself and brings a breath of fresh air to those who have seen too many bands pressing buttons at the start of songs. They have been lucky to have had their first performances supporting the likes of Big Boi, Ellie Goulding, and Tinchie Stryder. For their "Soundsystem" shows, the band expand on the usual DJ set up, calling upon the network of performers, MCs and musicians in the collective to add live vocals, electric strings and drums to the mix. They also run a successful club night called National Rail Disco, for which they've booked James Blake, Deadboy, Pariah, and Submerse amongst others. The string quartet perform straight classical concerts too, and will make their Wigmore Hall debut in 2012. Debut release "Mozart's House" has achieved great support to date from DJs like Huw Stephens, John Kennedy and Fearne Cotton. The music video for "UK Shanty", commissioned by Channel 4, features supermodel Lily Cole as a mermaid-siren and premiered on the channel's Random Acts programme. Two days later, the band's first Maida Vale session for Huw Stephens aired on BBC Radio 1, where they played every note of the 3 EP tracks live. The Channel 4 commission for the "UK Shanty" video came off the back of UK MVA nominations for "Mozart's House" and "Telephone Banking" last December plus being featured at the BBC 2011 Music Video Festival. Clean Bandit will be performing a host Soundsystem shows this spring before a number of live shows at UK festivals across the summer.